All the fans of the series are in luck. In celebration of the 20th anniversary of its launch in 1994 for Super Nintendo, Square Enix has just released to the market the Android version of one of the most acclaimed Final Fantasy titles. 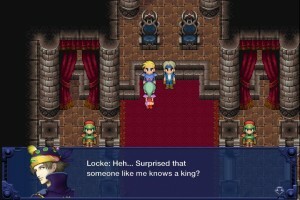 All of you that enjoyed the game in the 90’s can revive the adventure of Final Fantasy VI on your Android device. 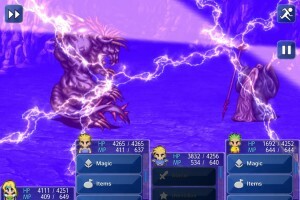 As with other releases in the series, Square Enix has adapted the control of the game to touch screen devices, and has also changed the game difficulty. Now it’s easier to improve the skills of the characters, so you don’t need so many hours of play to win the combats. On the other hand, the graphics have also been adapted to the characteristics of the current screens and resolutions, optimizing them for a good gaming experience on mobile devices. Final Fantasy VI is one of the best titles of the series (for many it is considered the best), mainly thanks to its elaborate argument. In the game, we will follow Terra in her search of magical creatures. We will find more characters that will become part of the history, mixing their fates to the point that we will not have a clear starring character. All characters have their importance and abilities, and we can play with any of them as a protagonist. In short, Final Fantasy VI is one of the best RPGs that have been made, and it is probably the best one currently available for Android. The company is still considering the possibility of a Final Fantasy VII adaptation, as it has many fans. For now, this version is available in five languages: English, French, Spanish, Italian, and German. Make some space in the memory of your mobile devices because the game requires 500MB of downloaded files. You can find it in the Play Store for 15.99$.